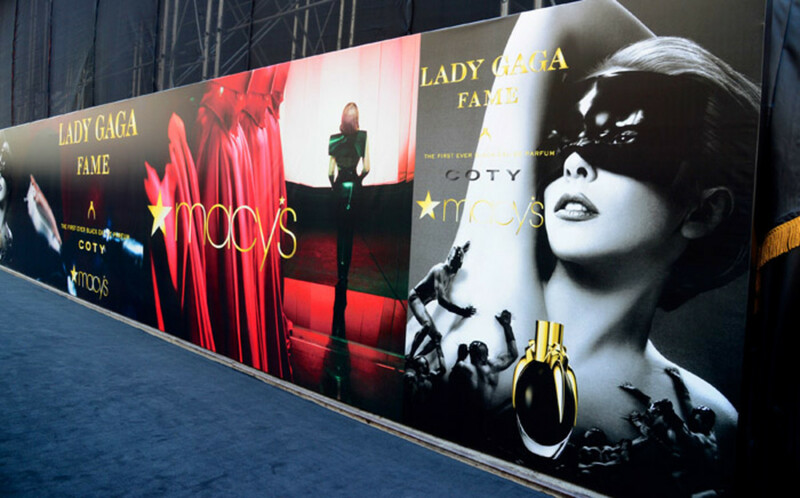 Lady Gaga launched her black fragrance, Fame, at Macy's Herald Square in New York City on September 14th; the evening before, she hosted a masquerade party to celebrate. The fÃªte guest list included Lindsay Lohan, Stam, Marc Jacobs and more, as well as a performance art installation called "Sleeping with Gaga," followed by an on-site tattoo.... See the event photos -- shoes! nails! Lohan! here. Can we talk about Lady Gaga&apos;s nails? Okay, maybe later. Yup. 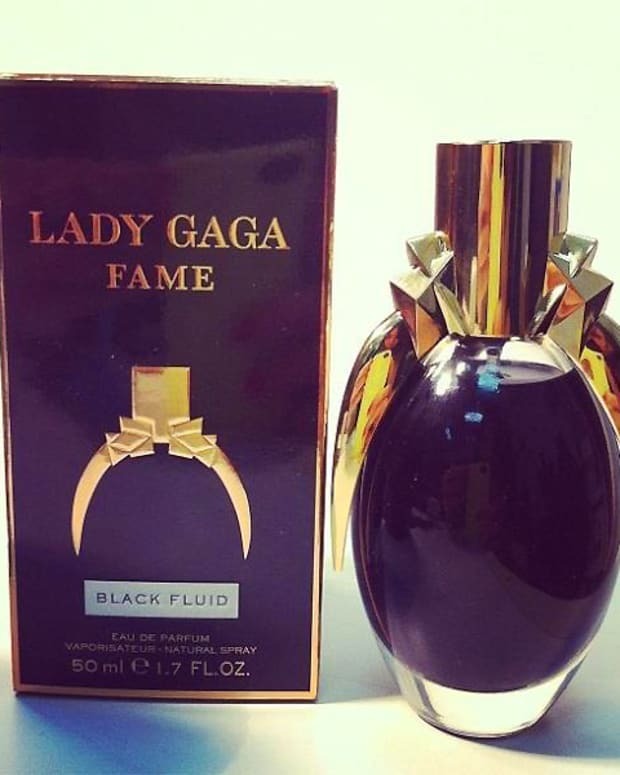 She&apos;s dressed as the Fame bottle. I bet Gaga would say these are super-comfy shoes. Yes? No? I like Gaga&apos;s lipstick colour. I like Gaga&apos;s dress. A lot. Gaga&apos;s Fame manicure. Whoa, those nails. Gaga&apos;s tat from the night before (you&apos;ll see it happen in the third video, at the bottom of this post). 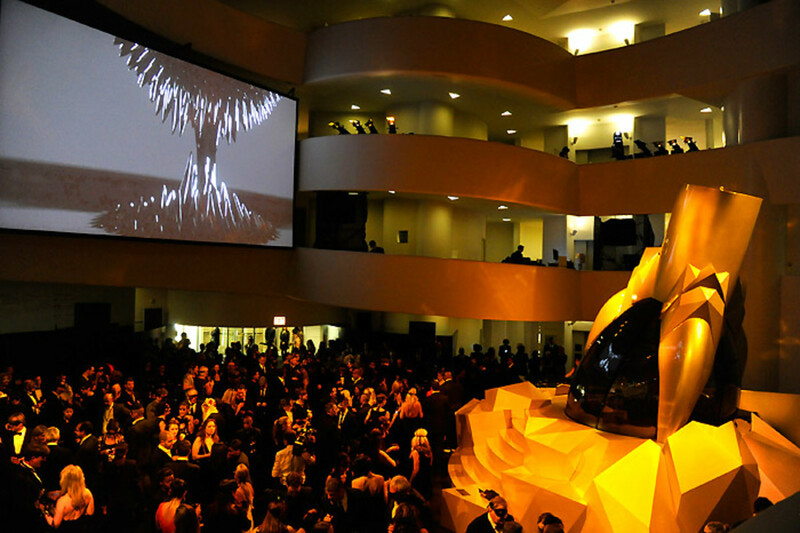 The evening before, at the Guggenheim Museum, Gaga&apos;s shindig guest list included designers, models and famous peepsÂ such as Marc Jacobs, Alexander Wang, Jason Wu, Jessica Stam, Yoko Ono, Lindsay Lohan (below) and Paris Hilton. Photographer and director Steven Klein was a fÃªte guest, too -- below is the film he made with Gaga for Fame. Here&apos;s an interview with Lady Gaga about the fragrance details: "It&apos;s my perfume expression of fame, it&apos;s not my personal expression of it. I&apos;m not saying anything in the fragrance about my personal life. I&apos;m just making a funny product," she says. More interviews, this time with party attendees, such as Steven Klein, Marc Jacobs, Yoko Ono and more -- plus red-carpet posing lessons from Paris Hilton and Gaga&apos;s on-site (in-bottle) tattoo. Say, which of these guests would you want at a party at your house? Oh hey -- what do you think of the fragrance?